Cloud9 Design Aranka Textured Decorative Pillows - Swatches may be available. 14x20 Crushed grey velvet with matching gold beads and thread. 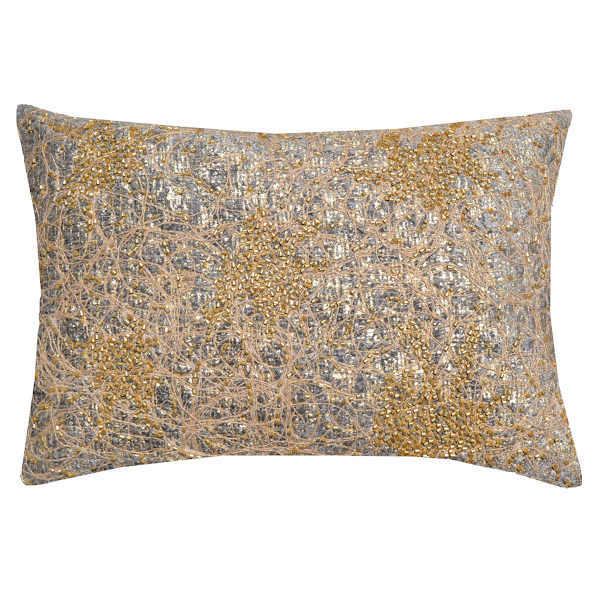 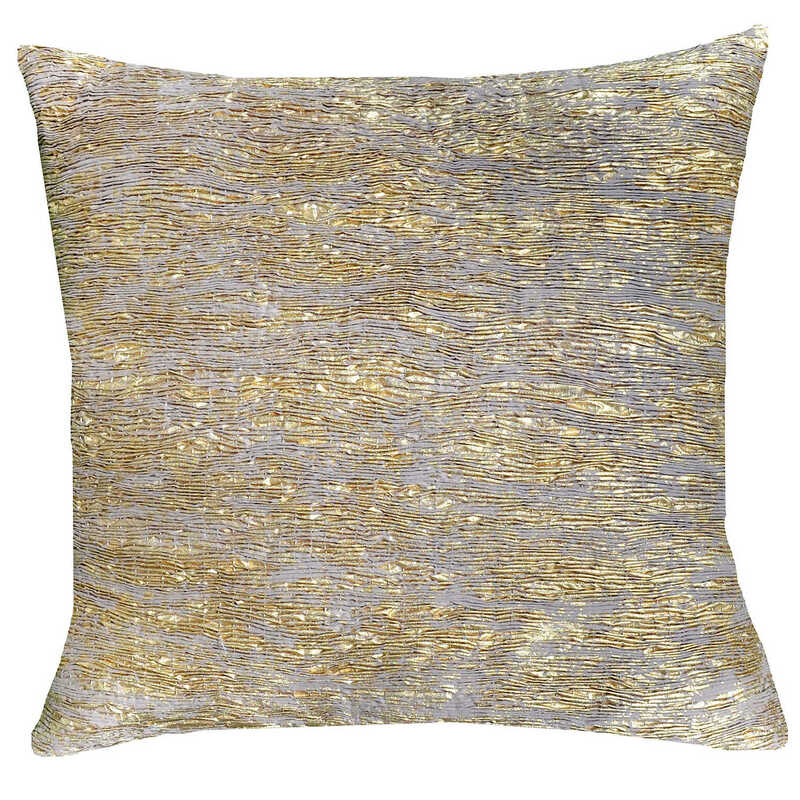 22x22 Textured voile sheeting pillow with gold print.